A novel? Your best article ever? A poem? A film script? Maybe you’ve just finished something you’re really proud of? Or you just can’t tell whether it should get a Pulitzer or be thrown into the trash? Here’s your chance to share and discuss with each other what you are writing about. 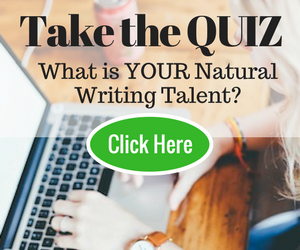 Whet our appetite with the opening paragraph of your future bestseller or give us a link to your best article. Tell us: what are you writing at the moment? Tick… Tock… Tick… went the clock. My heartbeat was faster than the speed of that second hand. I had been sitting there for several minutes, The Human Resources Representative still hadn’t shown up and my nerves were vibrating with anticipation. The job would be customer service for the local bank. It sounded like I could handle it, talking to people on the phone while handling other small office tasks, I could handle that. Couldn’t I? A dark void deep in my stomach screamed at me, as rain patted lightly upon the window, as if telling me that the accident would haunt me for the rest of my days. It was right. I don’t live a moment without fear or regret stemming from what happened all those years ago. I knew Him! Then He nearly murdered my husband. My hands grasped the arms of my chair until my knuckles were white. I posted the prologue of my story above. It was also a fiction story. I just thought I should let u know and aimed at teens. “They will come for you. And they will stop at nothing to get rid of you, just like they did your mother.” Alex said to me. I at least thought that he might be a little nicer about it. “Wow, thanks man! Just say it straight up, just, your gonna die!” He grinned sheepishly. “Sorry dude, but I’m not gonna sugar coat it for ya.” And that’s Alex. How he turned out to be my best friend? I have absolutely no idea. With his dark brown eyes and jet black hair, he could charm anyone, and almost always got what he wanted. Almost, I say, because he couldn’t fall me. Sure, he can convince anyone anything, but being his best friend I can see straight past all the lies and fake smiles, so he gave up with me, as you may be able to tell. He knows he can’t get what he wants from me so he doesn’t even bother trying. But I think that that’s great. He kept on talking, sadly, so I just zoned out as usual. I’m Josh. I’m football quarterback at school and everyone loves me. Kinda. Anyway, with my baby blue eyes, cream skin and blonde hair, how could you not? Well… almost everyone loves me. Not to long ago, I found out that my mum DIDN’T die in her sleep. She was murdered and now the guy who did it is apparently after me. Great right? Note the sarcasm. “Were you listening to anything that I’ve just been saying?” Alex demanded rudely. I grinned. “Yeah, of course! I agree, I’m gonna die soon and I need to get a bodyguard or something…” I trailed off. Of course I hadn’t been listening. All he’s been talking about since he found out is that I’m gonna die a horrible death and I have to get out of here straight away without dying or whatnot… “No, I said, are you going to the football game next Saturday?” I groaned and nodded slowly. “Of course! I’m part of the team! I could never miss it!” I could tell that Alex was about to burst into another speech about my safety and why I can’t go to the game (for the seventh time) so I just rolled my eyes and stood up leaving him standing there alone. What I love about this article is the heart … encouragement and motivation to those and from those who could really use it. My base work is a Christian memoir about two unremarkable people whom God loved, changed and continues to care for. “In Spite of Us,” is written in the often opposing alternating voices of “Us” (my husband and self. The blog’s topic is random with the focus on story telling. Soon I will be sharing excerpts from the book. Hi Deb, thanks for the kind words. I’m intrigued by your project. If I understand you correctly, you change the Point of View for each story (one narrator being you and the other your husband). That kind of joint project must really bring you close together. How nice! Really, I am just wondering if my stories are interesting to anyone besides me. And any other comments/feedback would be greatly appreciated. I”m a test case, Meredith. I don’t know the first thing about the Chadron State Park or archeology digs, but I actually read your post with interest. You have a lively way of writing! Whether you will have a throng of reader on your site is a difficult question because the blog meanders as you meander through the USA. However, think of it this way: your blog is giving you a fantastic way of honing your writing skills. And you may well be able to re-purpose your blog posts as a travel book at a later stage. “But I’m too short,” broke in Teddy, knowing his father’s stories could go on for ages. His father shook his head and brought his jaws together, snapping his tree-trunk toothpick in half. “You’ve got to learn dinosaur self defense against Gorgosauruses in case I’m not around. You start tomorrow,” his father said. Teddy was only about as big as a two-door car, which is pretty small for a T. (for Tyrannosaurus) Rex. He was no match against a Gorgosaurus without dinosaur defense school, and these fierce dinosaurs were often tramping through the forest where Teddy lived. Teddy wanted to learn growling and roaring and pouncing and tree splintering and all the other T. Rex tricks. But he didn’t feel ready at all. And the real reason was Big Rex. Here’s a link to my latest article, “Incorporating Travel Sites into Your Vacation Planning.” I’m currently working on not being too wordy in my articles. The good news is that you’re an accomplished writer. 1, Experiment with “how to” headlines. For example, this post was very practical and it could have benefited from a headline that starts with ‘how to’. 2. One way to get people to read a complete blog post is to write the intro, using very short paragraphs. Take you intro and see what it looks like when you let the first sentence stand on its own as a paragraph – and then continue with very short paragraphs (this will ease the reader into the post). Like the tiniest of embers in an almost forgotten fire, a flicker of consciousness entered the boy’s mind. There was no sense of time or space or self. In these first fragile moments of pre-awareness, existence itself hung in the balance in an unseen battle between life and death. The single beat of a butterfly’s wings could have fanned the flame to life or snuffed it out forever. For reason or reasons beyond our ability to perceive, this time life prevailed. Like the moment when a cell divides and then divides again, life took root; the dimly burning ember took hold; the flicker became a small but steady flame. The darkness backed away and the light of consciousness advanced. As if emboldened by the retreating void of emptiness, the flame grew brighter still, and consciousness gave way to awareness, and awareness to the first fleeting whispers of thought. His diaphragm shuddered and then contracted fully, sucking a rush of air deep into his lungs. He became aware of his own heartbeat and the light filtering through his closed eyelids began to register in his awakening mind. He began to sense his surroundings– the cool ground beneath him and the smell of moist earth in his nostrils. The fingers of his right hand twitched. She continued to watch from above– unmoving, barely daring to breathe. This is definitely a cliff-hanger, Mike! Hi Vanitha, thanks for sharing a piece of your work with us. It’s wonderful that you’re seeing your experience of cancer as a new opportunity. This is like turning straw into gold. As to your writing. I would say that you obviously have talent, that’s for sure. And you have heart and passion of a writer. Break up each of your paragraph into *many* short paras! Your readers will thank you because your pieces will be much easier to read. It definitely makes sense to split into more paragraphs. I will definitely work on that. Hi, I have begun writing a book about my journey as a breast cancer survivor. My objective is to uplift, entertain, motivate and educate people while describing my journey. I tend to use long sentences and am also guilty of using too many superfluous words. I would greatly appreciate any feedback and criticism. Thank you. Nice Try Cancer! But I’m still here! I learnt that I am an optimist, always have been. Every project I undertake, I expect to see to a successful conclusion. When events take a turn for the worse, I imagine how they will get better. My general attitude is that things will work out, even though – needless to say – sometimes they don’t. But optimists like myself, get back up, brush themselves off, and learn lessons from these life experiences (and don’t look at them as mistakes – but rather valuable learning opportunities), and look for every opportunity to share our learning. So, I decided to put my fears aside about having cancer and finally do something about it. I’m not going to be selfish anymore. I’m going to take action and start helping more people. We all walk around carrying mental images of what the world is like and how the future will unfold. Some see the glass as half full. Others do not. There is a huge payoff in seeing gray skies as just passing clouds. Optimists expect to have meaningful relationships, good health and happy, productive lives. They live longer and worry less. They avoid needless anxiety and adjust better to stress. There is no better feeling than having the warm, golden autumn sun envelop you in its comforting embrace, especially when the air is bone-chilling in the shade. Regardless of how low the temperature has dipped, once you venture out of the shade and into the sun, you feel the soft, warm marshmallow feeling ensconce you. So far, Johannesburg is the only place on earth that I have experienced this. Now Johannesburg is many things but not a place you would call a sleepy hollow. It is a city of many wonders. Not all are wonderful. It is a buzz of incessant energy as cars, buses and taxis over-run the crowded streets. Taxi drivers and motorists are constantly vying for their piece of the tarred road, often engaging in sign language that leaves nothing to the imagination. To add to the melee of activity, pedestrians catapult into the street, without a single glance or thought of the zebra-crossing, specifically marked for their safe walk across. The angst that you feel as a driver in Johannesburg is so mundane that, if by chance every single driver suddenly slowed down to the speed limit, or if the pedestrians used the zebra-crossing, I fear that we may all be trapped in a traffic jam forever, just from the sheer shock of it! I love Johannesburg! I especially love it when a taxi driver is courteous enough to stop and let you into the flow of vehicles. Granted, this certainly doesn’t happen every day, but when it does, you celebrate with a little mental dance! I love the excitement and sense of danger that wells up in the pit of your stomach as you get to the traffic lights, with your windows done. What can I expect today? Will some little reprobate teen, dart across the road and make a lunge for my cellphone or my half-eaten packet of crisps? Or will the tenth blind beggar I’ve seen on the 1km stretch lumber on over with his sighted-partner for change to be deposited into his sadly clanging tin? Or, will the pamphlet hander-outer , give me a pamphlet that I could actually use, this time? I love Johannesburg and its myriad of characters framed against glass skyscrapers, interspersed with car dealerships and food stalls. A Rainbow Nation for sure but frankly, I don’t believe that it describes the racial groups making Johannesburg their home. I believe that it describes the hues of the characters, personalities and ambitions of this beautiful nation. The barber in his make-shift barber shop at the intersection may exude the same ambition and flair when a new customer appears, as would an investment banker in his Porsche GT3 meeting with a new investor at the News Cafe. Feeling a part of the buzzing metropolis can only be meaningful and adventurous if you allow yourself to focus on the journey and to retire all thoughts that threaten to consume your mind. There are no dangerous thoughts, however I definitely believe that thinking itself is dangerous. Using my newly-found skill, not thinking, but being, I absorbed all the sights, smells and smiles of my unhurried drive to my appointment. Today, I was expertly persuaded by my General Practitioner to visit the Breast Care Clinic for a routine mammogram. My GP is a strong-willed, highly intelligent South African Indian woman. Indian mothers are bad enough in using their under-handed persuasive skills, now add higher education, life- experience and intelligence, you have no chance! In no uncertain terms, she ordered me to call the Clinic and insist on an appointment today, using her as a reference. Needless to say, the receptionist on the other line, hastened to confirm my appointment in an hour after hearing my GP’s name. I’m translating my children’s anthology “The Seer’s Stone” into Spanish, and finding it very hard going. It’s so much easier to translate into your native language. Fortunately I have a friend who’s polishing it for me. The book contains a dozen stories, closely tied to the history and legends of La Palma in the Canary Islands. The mysterious seer’s stone is a unifying thread for the stories, which cover events from 1493 to a little past the present day. Since I’m a fantasy and science fiction writer, I include things like dragons, time travel, space ships, and visiting aliens. And lots of starry skies, because I love La Palma’s starry sky. I should add a bit of story, shouldn’t I? My brain is wired to think in either language, but when I ask it to translate, it just stalls on me. Understand I don’t consider myself a writer in the classic sense. healing process. My next is to update and bring that little note current. even if only for their own satisfaction (a diarry?). not even decided what theme to finally use so it is a ‘work-in-progress’. Hi Bob, it’s great that you’ve taken to writing to heal from your stroke. I’m sure many other people will be inspired by your attitude. Any constructive critical feedback etc is appreciated. That’s a fun blog! The good news is that you’re a good writer, John. I look forward to how your Batfan blog develops. Hey thanks man, real nice of you to say. I always say keep practicing and refining your writing, I’m reading several books on essay structure at the moment to improve the layout and flow of my writing. Hi Mary – this is the opening paragraph for my mainstream novel, Pennies from Burger Heaven. I had literary representation, but my agent left the biz this fall before we submitted my book for publication. I WANT ANOTHER AGENT! Hey Marcy, what a bummer to lose your agent just before submitting your book for publication! You’ve a good writer and so I’m sure you’ll be successful, no matter what. But I keep my fingers crossed for a new agent…! Thanks, Mary. You are a GEM! Two days until Tommy’s birthday and I don’t even know if I’m gonna show. Tommy’s off with his sister right now, celebrating her 21st like I should be. If someone had asked me two years ago where I was gonna be when my best friend’s kid sister hit 21 I know exactly what I would have said: I’m gonna be out there laughing at the poor souls trying to drink in peace as the three of us tear apart every bar in an eighty mile radius. Now I don’t even know where they’d decided to go, or when we were gonna see each other again. Hell, now I don’t even know if we’re gonna see each other again. I try to phrase all of this in a way that Michelle will understand. “Damn it Ryan, where are you,” she asks me, again. Why do people repeat questions? If I was going to answer it I would have already. 3rd person or 1st person POV – that’s a very tricky decision. Eric. What made you choose 1st person over 3rd person? Below is a link to a post I wrote last week for the Why I Write Blog Hop. I used the article to play around a bit with my writing 🙂 It’s not something I normally write about on the blog, and I know that, I’m just interested in any constructive criticism anyone can offer. Your blog is aesthetically pleasing, informative and descriptive, with personal notes that allow a reader to know you a bit. Thank you for sharing a piece of yourself. I love the way you’ve used images with text, Eliza! It’s very elegant because you’ve used a similar palette of colors for each image. Thanks Mary – lol – I’m not a good enough photographer to make my big pile of messy notes look artistic lol 🙂 So that’s why the photos were all matching and neat! At this moment I am entrenched in writing Book Two of The Brede Chronicles. I think I have a good premise and plot though I am a bit concerned about the opening–debating to re-write it or to keep it because I believe in it…and I believed in Book One when others didn’t & it got picked up and published within four months. I should trust my own instinct I think. It’s always difficult to evaluate one’s own stuff, isn’t it? I wish you well with Book II! This is the opening paragraph to my novella that falls more under the dystopian label than not; I’ve written a few articles about it on my blog if you’re interested! I’m very pleased with the diverse cast, the main character isn’t white (instead Middle Eastern) there’s a homosexual, bisexual, male to female transgender, cross dresser, and asexual in it, as well as someone who is Mexican. Plus some of the characters are both not white and not straight, which is something very rare in literature! So here’s the opening paragraph. It might induce slight confusion with the titles, but that’s cleared up in the next paragraph and they only asked for the first one. I really like it! It’s short but vived, and there’s an energy to it 🙂 The first sentence, however, is less dynamic than the rest… I am by no means a professional here, and I may be waaaay off… but is the first sentence using more passive words? Thanks for the feedback! There might be, I’ll have to take a closer look at it when I’m not sleep deprived. ^^ Definitely thanks for pointing it out though! Your novella certainly starts with a bang, Jessica! Thanks, I’m glad you like it! As soon as I realized the first scene involved my MC killing 500 people (he does have redeeming qualities that show up afterwards thankfully) I knew I wouldn’t have to worry about people complaining it had a slow start! Thank you so much for writing The (nearly) Ultimate Guide to Better Writing it is quite helpful. I am currently working on a re-write to a synopsis of a series of books my family released in hopes readers will contribute to various charities or allow us to if they enjoy the story. Our story regarding this series is posted on various sites with the books and this is one of the synopsis we keep re-writing to get people interested. Experience a mystical mystery surrounding an isolated institution run by a family of physicians while escaping into a world of not only warring angels, demons and vampires, but one’s own self-doubts and fears. While sifting through hidden clues and double meanings to decipher who is the enemy and discover the key to freeing the entrapped souls which otherwise will separate the two lovers for all eternity, the reader experiences how Mia and Andrew’s own self-doubt is an unrealized enemy, leading them in circles which each must fight to break free from before their love perishes in its wake. Greetings, all! Some good reads here! The access to Old Mill Road was unmarked and nearly invisible at night, but I could find it with my eyes closed. I slowed my motorcycle and turned off the main highway, quickly dropping my speed to nearly a crawl. I flipped on my high beam to better navigate the rutted roadway, weaving to follow the few thin trails of reasonably smooth asphalt spidering between potholes and craters that were more a relief map of the moon than simple flaws in the worn road. … and should anyone be curious, I would be happy to share my current pitch for my novel. I was wondering what comes next! Did the headlights light up a body lying in the weeds? Or was there a strange animal? Thanks for offering us your opening paragraph, Don! Here’s a link to my latest article “No matter how creative, ingenious or inventive you are, if you don’t persevere, you might as well not have any talent,” (http://www.cheer-ebooks.com/blog/). I wrote it to help motivate those of us out there who need a little push to keep pursuing our creative dreams! Would love feedback or comments of camaraderie! I love your story about the girl coming to your house to do a survey, Michelle! Somehow, stories really make a point, don’t they? Perseverance? Oh yes! Without that, nothing much happens in life. Thanks Mary and thanks for hosting this! This was easy to read. Inspiring. The whole post hangs together nicely. And it caught me on the day that I needed to here this particular message. Thank you for the reminder. On many days I feel uncreative, but on the days that I just go ahead and do something (almost anything) that moves my writing work forward – organization, research, sorting, editing – whatever – on those days I feel better at the end of the day. Review of exhibitions! That’s a great idea for a blog, Caterina! Today I made some minor corrections (corrected version still hasn’t gone live) to the description of my novella, a zombie spoof, released on Amazon 7/22/24. This is like the fifth time I’ve changed the description. For some reason it never sounds as good after I hit submit. Thank you Mary for such a welcome idea. Well done for getting a book onto Amazon, Bracco! As a Christian writer I have always been fascinated and intrigued with the subject of “Free Will” given to mankind by God. I have a blog for which I write prolifically on and just completed what I consider one of my best insight articles on free will titled; “Free Will – Power Over Choice” at: http://injesussteps.com/?p=676. Your post is very thoughtful, Brad, and I’m impressed that you’ve tackled such a big and complex topic. My net was down for a month. The good thing is that it caused me to reevaluate some of the things I’m working on. This blog post is a) an excerpt from a book I’m writing and b) is a change from my usual method. This time I’m asking for feedback? About any aspect of it. Please tell me what you think. It looks like you’ve hit on an interesting subject, Michael. You’ve tied two big subjects together, mentoring and Christianity. I think something worthwhile will come of it. Mark’s landky stride picked up as he closed the few blocks to Penn Station. With practiced precision, he stripped off his tie and stuffed it in his jacket pocket, then loosened the top two buttons of his white shirt. As the train shuddered forward, the city released his shoulders and its hold on him. The rhythmic clatter of the rails and the warm afternoon lulled him, and he leaned back, folding his body into the cracked leather seat, and dozed. As the train shlowed for the downhill into Pelham, he roused and, through the smudged windows, watched the rural New York countryside through half-open eyes. Red brick cottages strewn on acres of rolling hills thick with elms and reedy grasses, the grit and noise of Manhattan left behind. The city was clamor, Pelham was peace, where Ellie and Sam awaited him. A poor hillbilly schlub from West Virginia, who, by some off quirk of fate, now had all this. Good day at the office. The Scanlon case had settled. Nothing could mar this idyllic life, a life close to perfect. First thing I notice is that you misspelled lanky. Also, there are several tun-on sentences. In my humble opinion, several short and concise sentences read better than one lengthy one that goes on and on. Also, I think you could start another paragraph at “Red brick cottages…” Not trying to criticize. Just trying to help. Thank you. Your comments are much appreciated, and you are indeed helping. No excuse for the spelling error, and I will work on the sentences. Sounds awesome – lovely description. Thanks, Eliza. I didn’t notice the extreme use of “the” until you mentioned it. I’m so glad you did. Yes, it certainly does help. So glad I didn’t offend you Diane 🙂 All the best with novel! Writing the first paragraph of a novel is alway a big task. That’s why some writers put this task right a the end, when the novel is more-or-less complete. The main thing is that you are writing and that you have a goal, Diane. Most people never have an idea for a novel, and then they don’t have the gumption to set out writing it. Thank you. Writing a first paragraph later is a good idea. I have the story skeleton mapped out on a storyboard and will be adding meat to its bones. Onward. Hi everybody, at the moment I am writing a true story, ‘LET HIM HANG’, about a young Liverpool lad who came to New Zealand looking for a better life in the early 1950s. Two years later, because of an accident in a milkbar at lunchtime in busy Queen Street, Auckland, NZ, Fred was hanged. At the time, New Zealand was a repressed, conservative country led by a National government. Due to a massive culture phenomenon washing in from the United States – movies (like ‘The Wild One’ with Marlon Brando) and actors, communism, American music and pulp fiction, fashion, milkbars and milkbar cowboys and leather jackets – the government had to be seen to be doing something to stop their wanton teenagers. Their answer was to use Fred as a scapegoat and hang him on the Meccano Set (a moveable gallows). In that year alone, 1955, four men met their death by the rope. Wow! That’s a shocking story that deserves to see the light of day. Good on you for digging it out and writing it, Karin! This is the first para from my historical novel, set in the 12thC. I’m working on the basics – showing not telling! Wimer inched forwards on his tummy a bit more, careful not to get his shadow over the fat black tadpole he was watching. It was doing a most peculiar wriggle-flip thing, making it change direction in very unexpected ways – was it just about to grow legs, he wondered? Or was it a tadpole genius, never to be eaten by a hungry fish? He lost it behind a school of lesser tadpoles, and leant in just a bit more. There it went, jinking around a frond of weed. How on earth did it do that? He pulled his knees and feet together to make a tail and… OH! Ooops… He hauled himself out of the stream. His tunic was so heavy with water that the hem was almost at his knees. Mother was going to kill him! I really like your desceiption Nicky. I would like to read more to see where your story is going. Today I’m writing social media notices and blog updates because this morning the first book I’m publishing went live. Monday it will be on to book two, where I need to write the Introduction to for the book and the afterword for my story. That’s a cause for celebration, Douglas! Please take a moment (or two or three) to celebrate. It’s so easy to just head up the new mountain without appreciating the view. Just finished my first novel. It’s erotica ;). Find the preview at http://feedyoursoul.com/wp-content/uploads/2014/07/ftll-preview.pdf and the full deets at http://www.feedyoursoul.com/fishtails. Fantastic achievement, Pascale. I found the beginning with the mermaid very intriguing…. I’m a Journalism student and every year, at least one short film is being rolled out from our college. And this year, I want to do one too. It should be a max 20 minutes film and I’m completely blank. I’m carrying a pen and book for the last one week and I’vent got anything yet. I’m trying to write a story with something teenagers can relate to and which shoots a relevant message. Can’t wait to see what others are writing. Like the simple tips for writers and those making comments. Printed out the 10 Free Resources to Skyrocket your Subscriber Count. Quite useful. Hi Amal, thanks for stopping by. That film sounds challenging. I find that sometimes collecting ‘bad’ ideas is a great way forward. If we keep on waiting for the ‘good’ idea to appear so that we can catch it in a notebook, this sometimes stops the creative flow. I agree. I guess I have to note down each and every idea that I can collect.